New York City, 1899. A golem arrives on a steamship and escapes to find her way, masterless, in the city. A jinni, trapped in a copper flask for one thousand years, is released by a tinsmith. Helene Wecker posits a world in which cultural mythology is real, where the Jewish mysticism and magic that allows someone to create a facsimile of life out of clay is possible, and where intelligent spirits of fire really do exist out in the deserts of the Middle East. She has done so, and then she places these two creatures in the turn of the century New York City and surrounds them, initially, with caring individuals who welcome them into their lives. This is important, because it provides the opportunity for the reader to become immersed in the various immigrant pockets of the city and into the lives of the Golem and the Jinni as they, respectively, figure out who they are and how to exist in this world so far from what they know. The conflict here, however, is much more than these two beings passing as human and the inherent struggle that presents when one is a creature of fire in a city surrounded by water and the other doesn't breathe, can hear thoughts and desires, and has only been alive for several months. Though, that by itself is enough to tell a story. It's just not all that Wecker is doing with this novel. There is more, and it begins to set up fairly early in the novel, but saying more about how Wecker weaves all of this together is to lessen the impact. But, lessening the impact of seeing how everything fits together is also a minor concern because the true impact of The Golem and the Jinni is how beautifully written and constructed this novel is. It is easy to get lost in this early New York City, and while we may believe that it is fraught with peril and dirt and grime of industry, it is also beautiful and haunting and full of the promise that is the new world and a second and third chance for the immigrants coming to find something new, different, or better. That exists in The Golem and the Jinni and it comes across well. 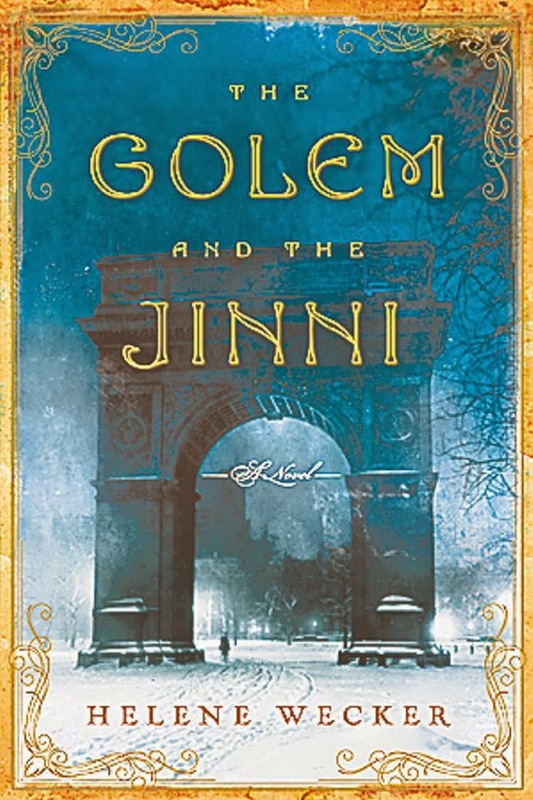 The Golem and the Jinni is surely one of the best novels published last year and the most remarkable thing about it is that this is the debut novel from Helene Wecker. It is a stunning work of fiction, beautiful and moving and all of the other superlatives I could come up with to pile on top. I say this in April, but this will be one of my favorite reads of the year. I have no doubt.